We don't get to say this much, but the American Eagle Ski Mask is MADE IN THE USA. I know I shouted, but this American Eagle Ski Mask is made and printed in the USA. We are just so proud. 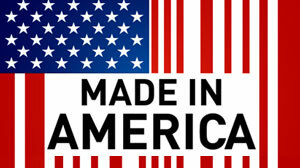 It seems like nothing is made in American anymore...and we want to put that to an end. This Ski mask is made and printed in Alabama, by Americans...that's right, people born in America, who pay American Taxes and eat at American restaurants with their American paychecks in US dollars. The money they make stays here in America and helps other Americans! USA, USA, USA, USA, USA, USA, USA, USA, USA, USA, USA, USA, USA, USA, USA, USA, USA, USA, USA, USA, USA!!! !